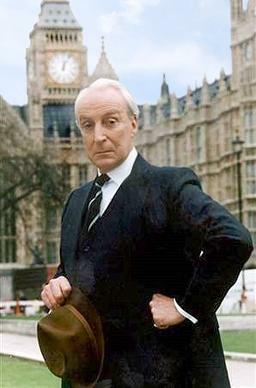 Despite being too young to fully enjoy it when it was first on the BBC, I enjoyed the original TV version of House of Cards very much, and I watched it again a couple of years ago on DVD. The story is about a politician called Francis Urquhart who gets passed over for a promotion to the cabinet and so works on his revenge to work his way up the ladder. Francis talks to us, the audience, through the “fourth wall” as a way to give us background information and thus adds a twist to the usual TV drama format. The series was an adaptation of a book by Michael Dobbs. Apparently the screenwriter Andrew Davies changed the story in several places, the key areas being the affair between Mattie Storin (a journalist) and Francis, and furthermore by killing off Mattie and not Francis at the end of the series. This allowed two sequels (To Play the King and The Final Cut) to be devised and shown on the BBC. They were not as good as the original, but are worth a look. Given my enjoyment of the originals and as a Netflix subscriber, it was with anxiousness and excitement that I waited for the American remake of House of Cards. I don’t like remakes generally but I have to say I enjoyed this one very much, probably because the writers have added something to the original story. It stars Kevin Spacey in the Urquhart role (now Francis Underwood) and it has been rewritten to make sense in the context of American politics. The series was released early this month exclusively on Netflix costing $100m to produce. I want to watch things on my television, not on my computer. I could not watch it via my Apple TV box and although I could watch it via my Xbox, I live in 2 countries with 2 Apple TVs and have only one Xbox. There was less content on Lovefilm at the time. What we are beginning to see is a battle brewing over content. The winners of the Battle of the Streaming Services are likely to be services that are available everywhere and that have the best range of content. Netflix is currently available on Xbox, Playstation, Wii, Apple TV and other devices. Lovefilm is available on some of them, but not all. Actually either is available on anything with a web browser capable of displaying the content. But really the eyeballs for this content are in the living room and that means on a television. 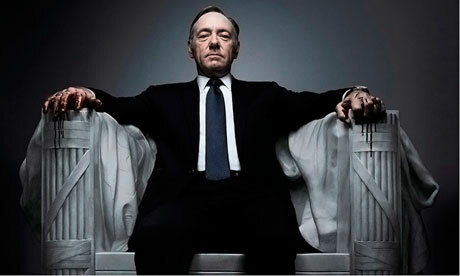 With Netflix starting to offer exclusive content (like House of Cards), the battle is moving into the area of content. Posted in Technology and Web, TVBookmark the permalink.